AC/DC never cared enough to churn out extravagant music videos to market their music. They let the music speak for itself. And while their contemporaries were racing to find the golden aesthetic at the end of the rainbow, the band didn’t get the necessity for such indulgences. Don’t get them wrong though, while the band didn’t dish out the greatest music videos in rock history, they made some pretty decent representations as well. For AC/DC standards, that is. We commend them for staying true to their intentions though. It takes a whole lotta (pun intended) willpower not to succumb to financial pleasures. 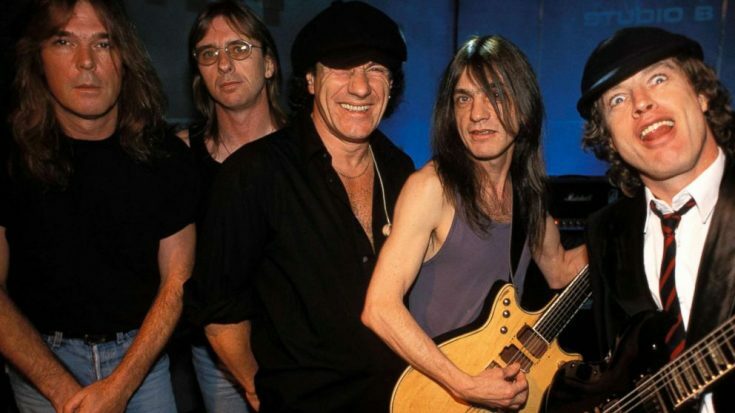 Here are some of AC/DC’s “best” music videos, in no particular order. Arnold Schwarzenegger guest stars in this music video, as payback for the song being featured on his movie’s soundtrack, The Last Action Hero. Schwarzenegger breaks into an AC/DC concert, gives the band members a good lookin’, and magically transforms into a buffed-up Angus Young. Arnie even gets into the Angus duck walk and carries Angus round the stage for the life of him. What a gimmick. Late former vocalist Bon Scott overdid himself on this one. Dressed up as a preacher, Scott riles up with his fiery performance at the pedestal. The rest of the gang didn’t compromise as well. Clad in altar boy gowns, the band spewed out the pumping rhythm, Angus’ hilarious cardboard halo taking the crown for most ingenious design. Included in the video also is some footage of Angus in long trousers while rehearsing the song. Who would’ve thought we’d see the day Angus without his shins on display. This groovy, classic rock hit got another video remake six years after its release on the Back on Black album. A hilarious black and white scene of members prepping up for a rendezvous with a smokin’ hot Corinne Russel introduces us to the track. He arrives to the scene with Russel riding a mechanical bull in her bedroom. Everything perfectly normal round here! Russel eventually married one of the band’s roadies. The band showed their greetings with a mechanical bull as a wedding gift. What clowns. Who would ever forget the iconic camera perspective of Angus Young’s one-hand guitar magic and Chris Slade’s drumsticks driving the tempo? Also a shot of Angus’ duckwalk underneath a Plexiglass platform? Peak creativity, by AC/DC standards. The crowd stacked on top of each other made the atmosphere adapt an arena-like presence. The epic proportions of this video is only rivaled by its explosive music. This music video is one of hard rock’s most coveted treasures. One of the final videos Scott was a part of, and made it all the more memorable by sticking to the gung-ho, no-nonsense aesthetic. Is there anything more hard rock than Bon Scott in a sleeveless denim jacket? A poignant remembrance of Scott’s legacy, truly.